Richard Caswell, Jr., was born on August 3, 1729, in Maryland to Christian Dallam Caswell and Richard Caswell Sr., who was a prominent businessman, military leader, and Maryland state legislator. Richard Caswell, Jr. was trained to become a surveyor, and in 1746, he moved to Kinston, North Carolina. Within a few years after establishing North Carolina residency, Caswell earned a reputation as a reliable surveyor and commanding leader. In 1750, Caswell was appointed to serve as deputy surveyor of the colony. Richard Caswell acted as the colony’s surveyor for only a brief time before he decided to pursue law. From 1752-54, Richard Caswell clerked for the court of Orange County, while simultaneously studying law. In 1754 he was admitted to the bar and immediately set up a law practice in Hillsboro, North Carolina. Richard Caswell gained popularity and respect during his public tenure as the deputy surveyor, he was chosen to serve his colony again when asked to participate in the North Carolina Colonial Assembly in 1754. In that assembly, he served for twenty years. In the early years of his political career, Caswell was loyal to the King of England and aligned himself with royal Governor William Tryon and later Josiah Martin. However, by 1771, when Caswell retired from the Colonial Assembly, his political views had taken a drastic turn and Caswell viewed King George’s rule as unjust in North Carolina. Upon his retirement from the Colonial Assembly he became an active member in the colonial militia, fighting in the Battle of Alamance, on May 16, 1771. Caswell later returned to the colonial militia to serve as a Colonel and later as a Brigadier General. He led North Carolina militiamen in the decisive victory at the Battle of Moore’s Creek Bridge. At the end of his tenure as the Tar Heel State’s first governor, Caswell resumed his position as the commander of the North Carolina militia. Following the passage of the Coercive Acts by the British Parliament in 1774, the American Colonies decided to call a Continental Congress to ensure that the colonies responded together in a unified manner. Each colony sent several delegates to the First Continental Congress, which convened in Philadelphia on September 5, 1774. North Carolina sent three: William Hooper, Joseph Hewes, and Richard Caswell. The Congress, which continued in session until late October, did not advocate independence; it sought to right the wrongs that had been inflicted on the colonies and hoped that a unified voice would gain them greater consideration in London. Though the first Continental Congress was aiming for a more reconciliatory course, Caswell’s pro-independence activism apparently made quite a favorable impression in Philadelphia. John Wheeler recalls in his book, Reminiscences and Memoirs of North Carolina and Eminent North Carolina, that Judge William Gaston claimed John Adams once expressed, “We always looked to Richard Caswell for North Carolina, he was a model.” Richard Caswell was asked to serve as a delegate for the Second Continental Congress that met in 1775. 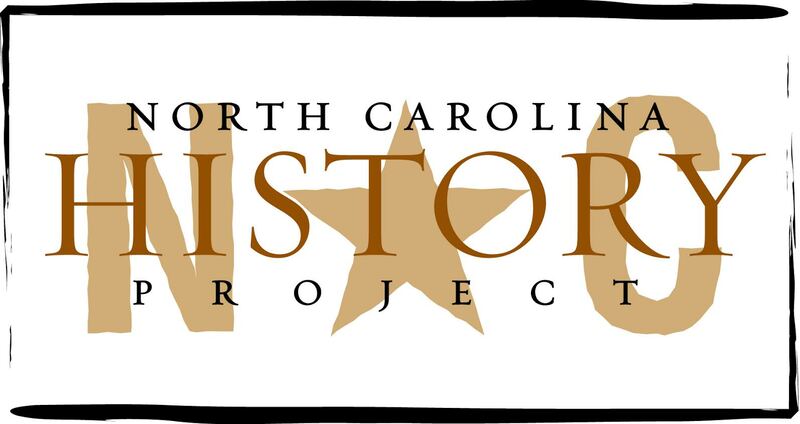 When the North Carolina Fifth Provincial Congress met in late 1776, Caswell’s great service to his state continued when he was asked to serve as the presiding officer and chair the committee that drafted the state’s Constitution. After the adjournment of the Congress, they elected Caswell to serve as the interim governor. He was elected again a few months later to serve as the first governor of the new state of North Carolina, under the new Constitution. Caswell was elected to serve as the governor from 1777-1780 but complained the power he possessed, as a governor was too strict and constrained, as he had constantly struggled to raise and supply the troops adequately for the war effort at the state and national level. In 1785, Richard Caswell was elected to serve as North Carolina’s fifth governor, a position he chose to retain until 1788. Caswell’s second time to serve as the governor of North Carolina was fraught with difficulties; both the state and young nation struggled. Caswell was forced to navigate his way through the struggle between the constitutional relationship with the federal government and his state. In 1787, Caswell was chosen to serve as one of North Carolina’s delegates to the United States Constitutional Convention, but he was not able to attend, due to his failing health. On November 8, 1789, Richard Caswell suffered a fatal stroke while speaking to the state senate in Fayetteville and died a two days later on November 10, at the age of sixty. He was also chosen to attend the Fayetteville Constitutional Convention, Caswell died right before the meeting and was never given the opportunity to vote for ratification. Richard Caswell was buried in Kinston, at his first home that he had in North Carolina. Caswell Country and Fort Caswell were both named for Richard Caswell, but the legacy that he left the Tar Heel State goes far beyond that. He was North Carolina’s first and fifth governor and one of the delegates sent to the first Continental Congress. More than just his tangible contributions of service, Richard Caswell also instilled within Carolinians a sense of patriotism and proved through his personal advancement of liberty that the dream and right of individual freedom was worth fighting for. Robert Connor, Revolutionary Leaders of North Carolina, (Spartansburg 1916); Historical Preservation Group, http://www.historicalpreservationgroup.org/default.html (last accessed August 31, 2010); North Carolina Encyclopedia, http://ncpedia.org/ (last accessed August 31, 2010); Hugh Rankin, The North Carolina Continentals, (Chapel Hill 1971); John Wheeler, Reminiscences and Memoirs of North Carolina and Eminent North Carolina, (Columbus 1883).